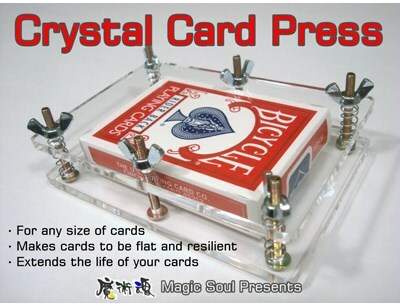 Crystal Card Press, which is made of touch panel materials, can make used cards return to be flat and resilient. It can also extend the life of your cards. It's beautiful and not expansive as a useful tool. Every card worker should get one at least for his cards.